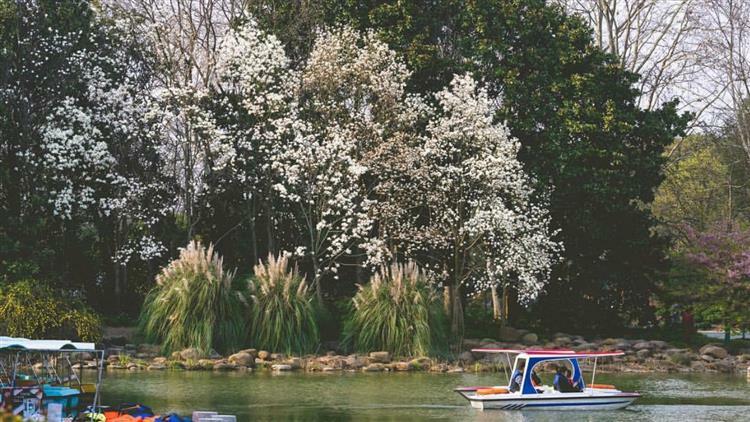 It’s worth a trip down to the older of Shanghai’s two botanical gardens to find your own quiet spot in the 240 acres of land. In spring, the rose garden has cherry, peach and plum trees in full bloom. Despite its vastness, the whole garden teems with life – bees and birds suckling honey blossoms are everywhere; you can feed the doves at the western aviary (1RMB/bag of dried corn); or fish alongside the Chinese men at the boat dock. It’s possible to take an electric train around the garden (10RMB), but it’s best to go by foot, stopping off at the bonsai garden, medicinal garden and tropical house, with its five-storey walkway. General admission is 40RMB and children under 6 years or 1.3m are free.